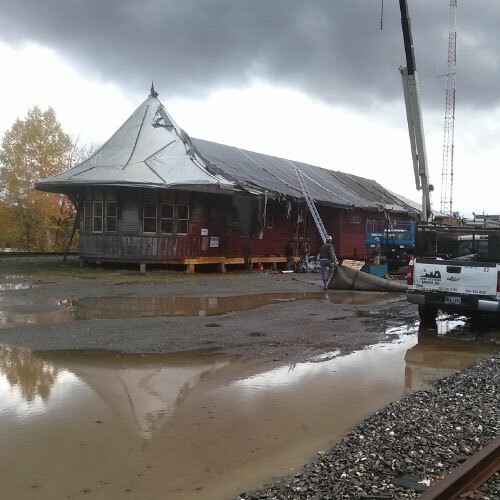 As part of Phase I of the depot rehabilitation, the tarps which we put on the depot two years ago have been replaced with a longer-term rubber roof. Eventually the depot will get a nice new shingled roof but for now this rubber roof will keep out the rain and snow, preserving the interior from further degradation. Special thanks to Roof Systems of Maine for their A+ job installing the rubber roofing. And to Ron for all his work getting things trimmed and nice.